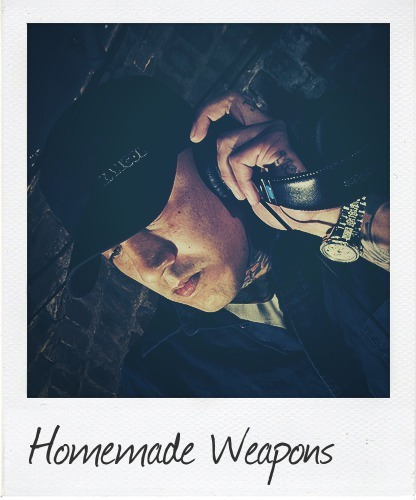 As a child of the 80s, Homemade Weapons (Andre Delgado) witnessed the birth and growth of many musical styles, and has always favored the extreme ends of the spectrum – from frighteningly heavy to delicately soft. Having fully internalized the musical ethos of his native Baltimore/DC, and his more recent backdrop of Seattle, WA, his music exhibits a combination of subtlety, power, and depth, rare in any genre, but much more so in the confines of Drum and Bass. As of late, the right people are taking notice of his solo and collaborative efforts. His music is presently supported by Loxy, dBridge, Skeptical, Hybris, Amit, Hype, Klute, Paradox, Quadrant, Presha, Trace, Bachelors Of Science and Sinistarr to name a few. Watch for releases on acclaimed labels such as Intrigue Music, Samurai, Commercial Suicide, Cylon, 117, Architecture, Broken Audio, and Warm Communications.